Moorea is one of those places you’ve always heard about but never really thought you’d be there. 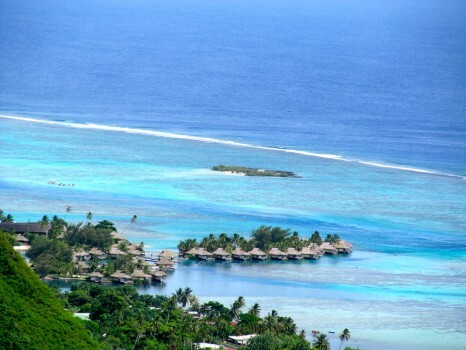 Much like many of its Polynesian neighbors, Moorea is far, exotic and does not disappoint. 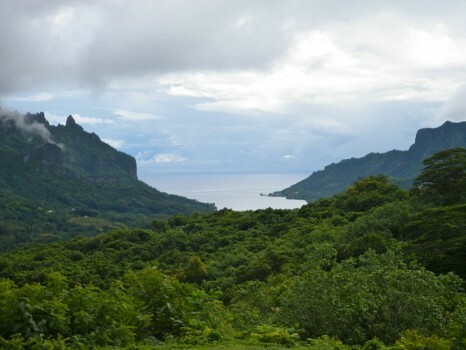 A blessed mix of Kauai and St. Lucia; Moorea teems with natural beauty and a true tropical feel. Moorea is a quick 25 minute ferry ride from the main island of French Polynesia; Tahiti. You can also take a 5-minute flight but that seems silly when the ferry ticket is only $20. The first thing you notice about Moorea is how tall it is. 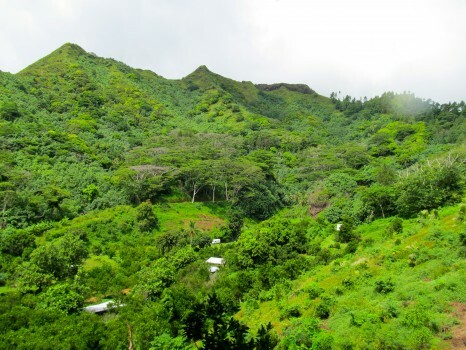 It has numerous tall green jagged peaks that look ominous in a cloud cover and strikingly exotic and green in a clear sky. The center of the island is lush and is like a big crater. 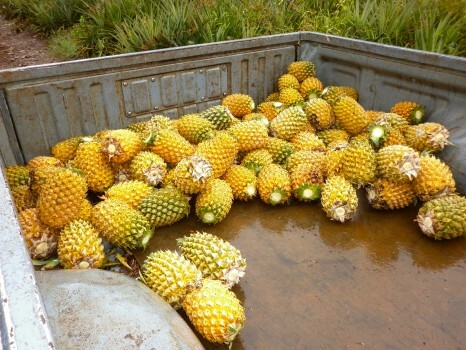 Fruits are the main product on Moorea and there are plenty of them: all different kinds. In fact, from the many fruits they pick on the island, they even make alcohol with it. 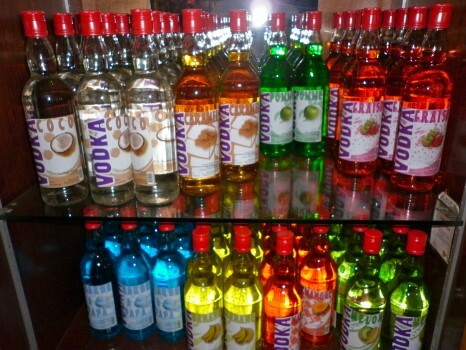 Sweet, real fruit juice vodka, rum and other potent potables. 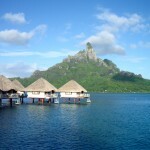 But the true draw of Mo’orea is the hotels, the resorts and the dreamy over water bungalows. 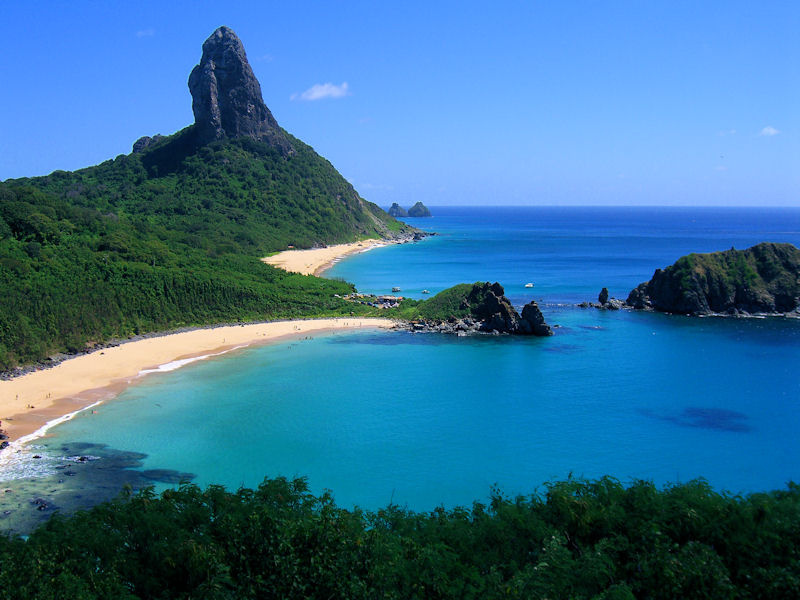 It is what you dream of when you think of Tahiti and Polynesia. 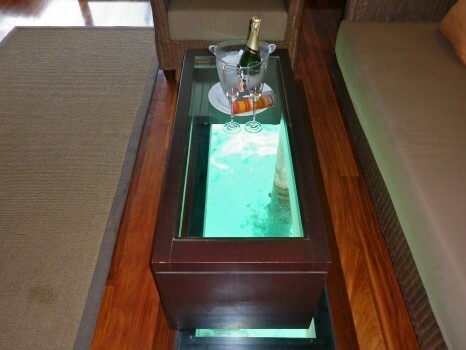 Walking out your patio door and slipping right into a world class lagoon to swim or snorkel. Looking down through the floor to see tropical fish. 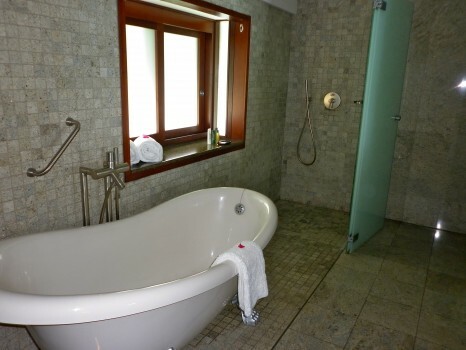 Taking a shower or bath and looking out the window to see nothing but azure blue water. Laying out in the sun on your own private sundeck and thinking you are in paradise. Alas, you are. 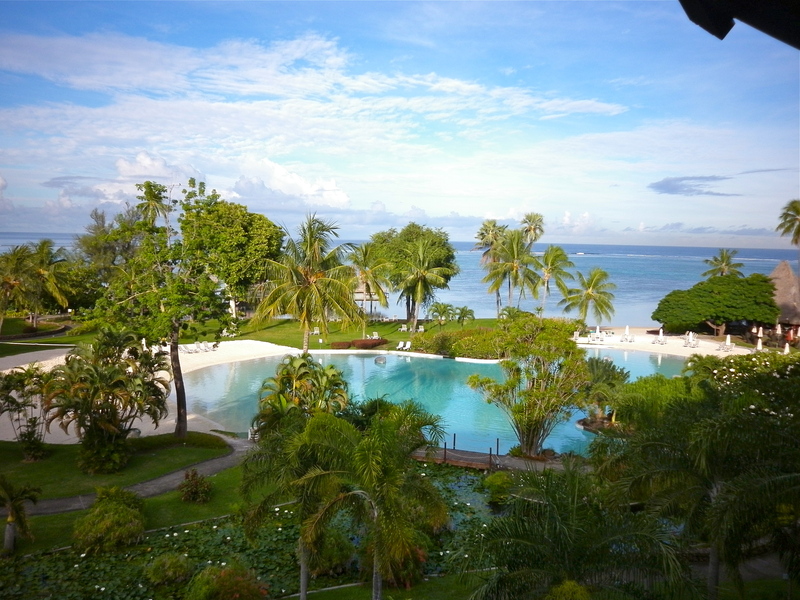 My paradise took place at the amazing Hilton Moorea Lagoon Resort & Spa. A truly spectacular property that possesses a few dozen overwater bungalows, several garden bungalows, a world-class steakhouse and a beautiful pool and spa. The staff were great hosts and made my stay on the island as good as possible. Aside from just lazing about in my amazing bungalow I also managed to check out the whole island in a 4×4 truck tour. The truck took 7 (2 Mexicans, 2 Italians and 2 French aside from myself) of us all around the inner parts of the island to the fruit plantations, the agricultural schools, and some amazing viewpoints. From atop the island, up some really bumpy roads, you can see the lagoon, the bungalows and the rugged and amazingly contrasted green interior. Morning rain and mist makes it look even cooler. I couldn’t help but think of inner Kauai upon entry into the crater of the island. 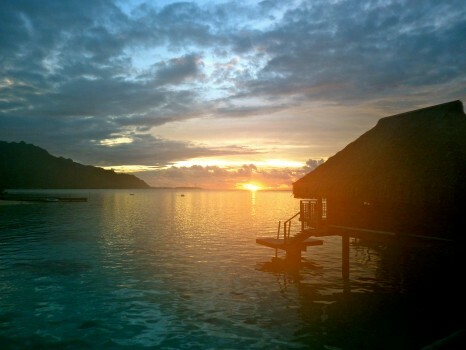 Mo’orea is so beautiful in many ways including some stunning sunsets. 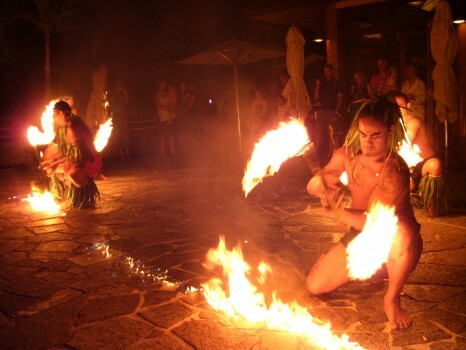 Moorea also embraces its Polynesian roots and explodes into high energy cultural shows. These include fire twirling, fire swallowing and exotic dancing. It is always a treat to watch. Even though I have seen many similar shows, the one I saw last night was perhaps the best and most impactful that I have seen as I ate my Tahitian steak. The audience involvement was great and the little kids loved it. 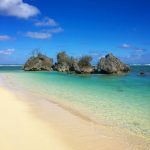 Some people may be surprised that Moorea and many Tahitian islands are not known for their long white beaches; in fact Moorea has a small black sand beach on the bay. This belief is a misnomer and often disappoints. 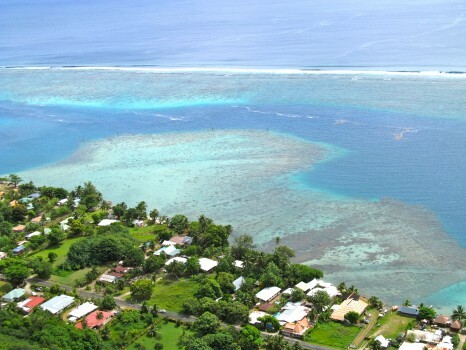 However, Moorea will not let you down in terms of nature, hotel resorts, hiking, views and even the odd archaeological site. Moorea is an island in the way Pacific islands are supposed to be. It is lush, rugged, wild but also calm, beautiful and welcoming. It has an aura of mystery and it invites you to find the answers. Mo’orea is in a word; tantalizing. If you ever need someone to go with you to all these exotic paradises, just ask and I will be there LOL! 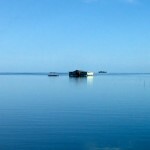 Amazing photos…those bungalows are my dream. Thanks for distracting me from this stupid paper I am supposed to be writing for school. Haha no problem and thanks! How much does a bungalow like that go for a night? Looks amazing. Hope the weather is good for you in the rest of your trip. I was glad to see you figured out your camera situation. That happened to me once on vaca and I was so upset. I ended up having to spend like $500 on a new one in Hawaii. Thanks Kim, ya it was a real pain! 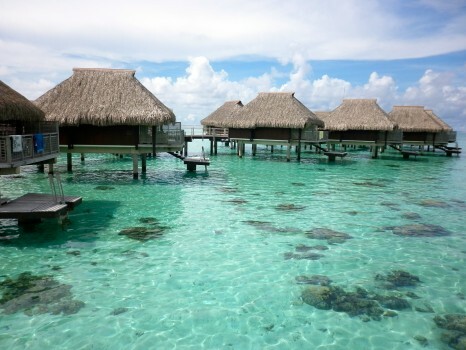 Hi Lee, great article….I’m looking forward to see pictures from Bora Bora too! Jealous…that vodka looked pretty good. Sick hotel room. 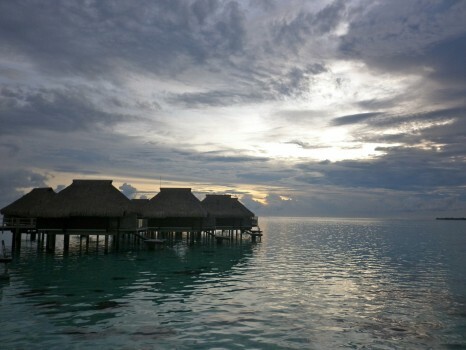 I visited Moorea on my h-moon a few years ago — agree, its incredible. 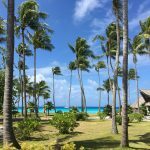 Are you on a FAM or other type of junket in Polynesia (a lot of photos of Hiltons and Le Meridiens, which is much different from your more adventurous posts). The paragraph on Hilton reads like they wrote it. Haha, in full disclosure, ya the Hilton did sponsor my stay here on Moorea but it is gorgeous and definitely enhanced my stay. 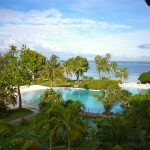 Hotels are a very big part of what makes French Polynesia, especially the main touristic islands attractive. 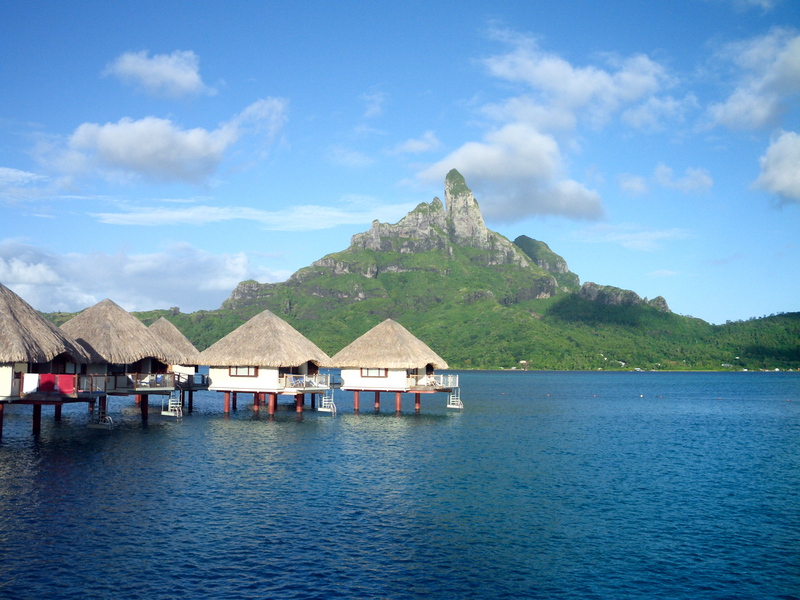 People dream of the overwater bungalows for their own honeymoon-that’s what many want to see. Glad you enjoyed your time here. Believe me, if I didn’t like the island or the hotel, I wouldn’t put it in my articles, at least in a nice way. Thanks for the other comments guys and Kenny, the price depends on the time of year and type of bungalow, so I can’t really answer that easily…look on expedia or hotels for dates that interest you to see prices. 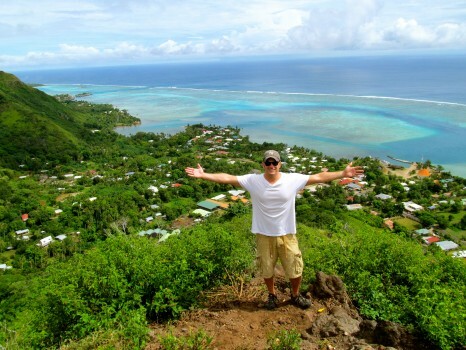 Moorea looks like an awesome place to me. I wish I could get some free nights in a place like the Hilton, it looks incredible. My wife would kill to stay in one of those bungalows on the water and so would I to be honest. We went to Hawaii for our honeymoon and stayed at the Grand Wailea and I thought that was pretty nice albeit overpriced. 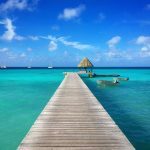 Between your Facebook pictures and these, I am sold on Moorea for the next honeymoon, although that might not be for a few years! Safe travels Lee and great new website. Enjoy the rest of your trip and thanks again and always for sharing. I’ve heard the Grand Wailea is pretty sick, but never stayed there myself. I stayed in 2 other parts of Maui when I was there in Lahaina and Kanaapaali or however you spell that! Thanks buddy and let me know if/when you make it out here.